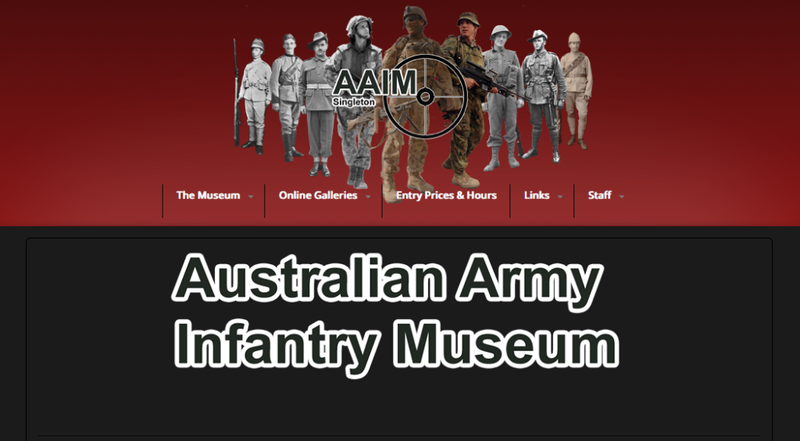 The Australian Army Infantry Museum (AAIM) is the custodian of Infantry Corps history and its customs and traditions. The Museum collection ranges from the colonial armies and their first deployments overseas in the nineteenth century through to today’s twenty first century diggers. From its beginnings in 1965, the collection was originally housed at Ingleburn, before its relocation to Singleton 1973. The Infantry Centre followed in late 1973 and was officially opened in 1974, by the NSW Governor Sir Roden Cutler VC. In December of 1998, the museum came under the command of the Army History Unit and is now an integral part of the Army Museums Network. The display space is divided into two main areas. The lower floor features exhibitions focuses on the history of operations, from Sudan in 1885 through to our current deployments such as Afghanistan today. The mezzanine level features the small arms collection and their associated training aids, and information about how they have changed and developed and the impact of these developments on tactics, techniques and procedures. Today the museum serves as a mirror to the corps. Drop by with all the family, its a place where everyone can learn about the history behind the names they are familiar with from high school or perhaps about the military service of a family member.